The shift is on to using lighter materials for the vehicles at Ford, with aluminum being an important aspect of this shift. Here's what's happening. In 1975, the federal government established Corporate Average Fuel Efficiency (CAFE) standards. Vehicles are driven under "city" conditions for 55% of the test schedule and under "highway" conditions for the balance. Presently, CAFE standards are 27.5 miles per gallon (mpg) for cars and 20.7 mpg for light trucks. Note that this is corporate average. This means the issue is not with a single model in an automaker's lineup. Rather, it relates to the average to the entirety of offerings, or the fleet. Those companies that do better than the set numbers actually get rewarded in the form of credits. Those that don't meet the numbers get penalized at a rate of $5.00 per car for each one-tenth mpg that they're off CAFE. U.S. vehicle buyers have shown a powerful penchant for big vehicles. Sport utility vehicles. Pick-up trucks. These vehicles may be good from the standpoint of the margins that can be made. But there are concerns regarding the fleet average from the standpoint of fuel efficiency. This has led to several responses by the vehicle manufacturers. Powertrains have become increasingly efficient through things like variable valve timing. And the automakers have continued to build small cars that they sell at a loss in order to offset the sales of the bigger, thirstier, larger margin vehicles. The challenge—especially in the face of a possible increase in powertrain regulations (i.e., fuel efficiency and emissions) for both cars and light trucks—is to find the means to make vehicles lighter from a systemic point of view. By taking weight out of one area, it is possible to take size or weight out of others. A lighter suspension system, say, may make it possible to have a smaller engine without sacrificing any of the oomph! that some people might be looking for. Tom Sweder is with Ford's Research & Vehicle Technology organization. His title is, manager-Weight Engineering. In Sweder's department the focus, in effect, is on putting vehicles on a diet. Generally, he explains, this relates to using alternative materials in applications. Like aluminum. Magnesium. Plastics. Composites. And, yes, Sweder says, "I even think of steel." As he puts it, "The first thing we ask about any material is: `Does it make sense for the application?'" There are plenty of places where Ford and other automakers are using aluminum. Think of wheels. Or, less obvious are things like hoods, doors and liftgates. Unless you have a magnet, you're unlikely to know whether one of those elements is steel or aluminum. The hood on the biggest selling vehicle in the U.S., the F-Series pickup*, features an aluminum hood; overall, it averages 258 lb. of aluminum. The Ford Expedition, which is built on the F-Series platform, has 335 lb. of aluminum. Sweder notes that an average body-in-white (BIW) can tip the scales at 900 to 1,000 lb. or so, and that by making a switch to aluminum, that figure can be brought down to the 550-lb. vicinity. That is the single biggest area to take major weight out of a vehicle—but making a change, say, from a steel BIW to an aluminum BIW necessitates retooling the body structure, so it is more likely that so far as existing platforms go, there will be incremental introductions of aluminum components. So the mainstream aluminum-intensive vehicle will undoubtedly be more of an evolutionary thing than an all-at-once production. Still, Ford's seriousness with regard to aluminum body panels is evidenced in its announced acquisition of Troy Design and Manufacturing (TDM), a company based in Redford, Michigan. TDM has more than 20 years' experience (including work with Ford) in designing dies and tooling for aluminum stamping. When the announcement was made in January, Neil Ressler, Ford vice president-Research and Vehicle Technology stated, "High volume application of lightweight materials, including aluminum, is a key to increasing fuel economy and decreasing emissions to address global environmental concerns." And he said that Ford plans to increase the use of aluminum in the vehicles it produces. One of the areas that some automotive product and process engineers may be overlooking when it comes to component design and manufacture is extrusions. 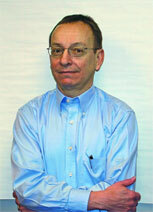 So thinks Richard E. Larimer, vice president-Sales & Marketing for the Engineered Components Div. of Kaiser Aluminum. This section of Kaiser handles products including extrusions and forgings. Larimer is based in Southfield, MI. According to Larimer, the tendency is often to "think stampings rather than extrusions." But, he points out that for a ladder frame application, extrusions can reduce the part count by 30% or more. And there is, of course, the weight savings compared with steel. He acknowledges that extrusions are relatively new to automotive applications, but he notes that they have a considerable history in heavy truck manufacture. Larimer says that in terms of applications for frames and subframes, aluminum provides good torsional resistance as compared with steel. One interesting aspect of the component that results from the extrusion process is that there is no porosity. Larimer explains that the process starts with a cast billet. That billet is then pushed through the die. As a result of this action, the material becomes uniform, with no gas holes. Consequently, there is a good, structural part. Additionally, there is the benefit of being able to design the extrusion die so that the features of the final part are produced right out of the die. This capability is what helps account for the reduction in part numbers (i.e., rather than making a number of stampings and then welding them together, the aluminum extrusion can have these various components done in one). Among the applications Larimer says that extrusions are useful for are seat tracks and frames, bumper beams and brackets, engine mounts and inserts, ABS brake manifolds, and a variety of miscellaneous applications. Applications he cites for forgings are mounts and brackets, control arms and links, airbag components, driveshaft yokes, pistons, and air conditioning components (e.g.,pistons, plates, scrolls). In the area of engines, Sweder notes that in terms of casting aluminum engine blocks, "The technical problems have been resolved. We have a strong capability to make engine blocks out of aluminum." Indeed, among the Ford factories are the Cleveland Aluminum Plant (U.S.), the Essex Aluminum Plant and the Windsor Aluminum Plant (Canada), and the Geelong Aluminum Plant (Australia). But historically, engine blocks have been produced with iron, and while the technical issues of switching from a cast iron to an aluminum block have been resolved, the financial issues of switching a costly casting plant from iron to aluminum are likely to make the transition to having more aluminum drivetrains something that happens at a measured pace. Once again, it is a step-by-step transition. With regard to the availability to aluminum alloys to fit the bill (or to answer the question regarding the right material for the right application), Sweder says that there is quite a broad array available. So the key is not so much with regard to finding the right material as it is determining the appropriate applications for the materials. There are also processing issues taken into account. For example, Sweder notes, "We've been learning how to make cast aluminum suspension components, which has led to the development of new technology in casting." So, for example, squeeze casting methods have been developed. Among the suspension components that Ford is making with aluminum include struts, control arms, and knuckles. Not only is it important that there be the right materials and the right techniques, but Sweder notes that it is essential that the supplier community have the wherewithal to handle what may be, for some of them within that community, a new material. For example, he explains, "Suspension component suppliers have made stamped steel parts and they've machined them from cast iron. Suddenly, if we say we want these components in aluminum, they may not have the equipment to handle it." To say nothing of the experience to do it. So the question for the supplier is whether to obtain the equipment and the experience necessary to produce aluminum parts. Some suppliers have opted not to; Sweder admits that in some instances they've had to switch suppliers in order to get aluminum parts. So far as he is concerned, however, the preferred thing is to have a supplier that is well versed in suspension technology to produce the required aluminum components rather than to have an aluminum die caster learning about suspensions. He points out that some suppliers are increasingly savvy when it comes to processing aluminum. He notes that although aluminum suspension components "have a cost penalty over stamped steel or cast iron parts," they're finding that some suppliers, who have gained know-how, are coming in and suggesting that they can produce the parts at a low cost. One example where this aluminum know-how all comes together is in the 2000 Lincoln LS. The vehicle has a curb weight of 3,593 lb., of which 262 lb. are aluminum. With regard to the body, the hood, rear deck, and front fender panels are aluminum. Speaking of the engines, the 3.0-L V6 has an aluminum block, produced with the Cosworth casting process, and iron cylinder liners. A structural cast-aluminum oil pan is used to strengthen the bottom of the block. The cylinder heads are 319 aluminum alloy. There are two engines available for the LS, a 3.9-L V8 and this, the newest Duratec V6, a 3.0-L power plant. The block is aluminum, produced with the Cosworth casting process. The cylinder heads are aluminum. The intake manifold is a combination of two lightweight materials: composite and aluminum. Since the LS is a performance-type sedan, the V6 can be matched with a five-speed manual transmission. This is the first manual available in a Lincoln since the 1951 Cosmopolitan. The new transmission is supplied to Ford by a German manufacturer, Getrag. The transmission, the 5R55N, features a one-piece, die-cast aluminum case. For the fully independent suspension, aluminum abounds. The control arms and uprights are produced with aluminum. The front and rear control arms are forgings; 6061-T6 alloy is used. The front and rear knuckles are squeeze castings; A356-T6 alloy is used. Magnesium & the Info Dearth. The savvyness and know-how is something that needs to be developed more extensively for magnesium, according to Sweder. He cites, for example, seat frames. Although, he says, there are companies that are switching from steel to magnesium for seat frames, at Ford they'll be pursuing aluminum frames first. The reason: "Quicker implementation." They have more experience with aluminum, so that will be what they'll be making their initial moves with. Which is not to say that Ford isn't interested in using magnesium. Sweder points out they're looking at the lightweight material for a variety of applications, including transmission housings and even engine blocks. But the concern is with information. "We could find no safety guidelines for the storing of crates of magnesium parts," Sweder says, "so we're working with the federal government to set up a standard." As part of this work, Ford folks and personnel at an Underwriters Laboratories facility created a 20-ft. high stack of crates containing magnesium parts. They set it on fire. What happened—perhaps unexpectedly, because magnesium does have a reputation, thanks in no small part to its performance in pyrotechnics, of being spectacularly combustible—was that the cardboard and the plastic used for the crates burned, as did some individual parts, but there wasn't a huge whoosh! that took out the ceiling. "When I meet with any team regarding magnesium, I have to tell them that it isn't too expensive and that it won't catch fire," he observes. It's not that there aren't some precautions that must be taken, he adds, like machining parts in clean, controlled setups and storing the material and parts in a dry environment. But there are not insurmountable issues. As for the cost, he says that while in the past magnesium prices have had an upward trend driven by demand, due to new materials sources coming on-stream there is now a solid supply base and price stabilization—or even, in some instances, a downward trend. Ford has invested in Australian Magnesium Corporation; when it begins production in 2002, Ford will obtain 50% of its output at a pre-arranged price. Still, there is a long way to go in terms of the magnesium industry, which is comparatively small. Sweder notes that when Ford hosted the third annual MagExpo in December 1998, the whole thing fitted in a single ballroom at the Ritz-Carlton in Dearborn. "Even the big companies are small," he says. What's more, he estimates that the entire magnesium industry produces less material than a single aluminum plant. All major suspension components are forged of cast aircraft-grade aluminum. An aircraft-grade aluminum alloy&$151;specifically, 6061-T6—is also used for the wheels. But the material, which is one-third lighter than aluminum, does have opportunities. For example, Sweder says that more complex, thinner-walled castings can be made with magnesium than aluminum. He notes that magnesium is being used by a number of vehicle manufacturers for instrument panels. Additional applications include transfer cases, brake and clutch pedals, valve covers, and steering wheels. One of the advantages that magnesium provides, Sweder explains, can be found in casting. For one thing, due to good flow characteristics, dies are reliably filled and so there tends to be a low scrap rate. Also, compared with aluminum, the metal cools faster, which means that the dies can be opened more quickly, which means greater throughput. It allcomes down to money. For every 100 pounds of weight engineers can remove from a vehicle, there's an increase of half a mile of fuel efficiency. In relation to the CAFE standards, that can mean real money. Speaking of lightweight materials, Sweder says, "We have an extensive discussion on every program." They are considering the ways, means, materials and areas where alternative materials can play a role in getting weight out of every given vehicle. The issue that looms largest is what effect the use of non-traditional—but becoming increasingly common—materials will have on variable costs. Sweder says that it is something of a rule of thumb that through the right applications and efficient designs, when a weight list is drawn up for a vehicle and a target is established for the amount of weight they want to take out, they are able to achieve a cost savings for 50% of the total through the use of lightweight materials. "We then say that they should apply those savings to do the second half of the list." What is clear is that as demand increases the supply, costs will become more favorable, so you can count on Ford making more extensive use of materials including aluminum and magnesium. *In March 1998, the sales of the F-Series were 85,686, which is a 20-year record of monthly sales for any vehicle, car or truck, according to Ford. Certainly one of the most striking aluminum-intensive vehicles on the road is the Acura NSX, which was launched in model year 1991. The NSX is built in a plant in Tochigi, Japan. As it is anything but a high-volume vehicle—fewer than 500 model year 1999 NSXs will be imported to the U.S.—there is no moving assembly line in the plant. Rather, the cars-in-becoming are attached to dollies. They are manually moved from station-to-station. This NSX is even lighter than the average NSX (assuming, of course, that any NSX can be described as being "average"). It is the 1999 Alex Zanardi edition, named after the two-time CART championship-winning driver who now plies his trade on the Formula One circuit. This NSX is 149 lb. lighter than the NSX-T. (The two biggest contributors to weight savings are the implementation of a fixed hard-top roof and a manual rack-and-pinion steering system rather than the electric power steering setup.) Only 50 of these cars will be built—hand built. So how aluminum is it? The standard engine is a 3.0-liter V6: all aluminum. The pistons are aluminum. So as not to have aluminum pistons wearing on aluminum cylinders (which would mean low durability, due to the abrasiveness on the material), there are cast iron cylinder liners used. The optional 3.2-L engine is somewhat more interesting from a materials standpoint. The cylinders are made with a process called "Fiber Reinforced Metal" (FDM). In production, there are cylinder cores consisting of carbon fibers in an alumina (Al2O3) matrix. The cylinder block's aluminum alloy is poured around these cores. The cores absorb the molten aluminum. Then the IDs of the cores are bored so that there is a 0.5-mm thick layer of the material remaining, which provides a tough, wear-resistant cylinder wall. If cast iron liners were used in this engine, it would weigh 2.4 kg more. The pistons in the 3.2-L engine are given an iron coating. The cylinder heads for the engines are low-pressure cast aluminum. The head gasket on the 3.2-L engine is produced with stainless steel, as the issue was one of assuring a positive seal with the FDM cylinders. Forged aluminum is used for all suspension arms. The front steering and rear hub carriers are made from heat-treated aluminum castings. While aluminum wheels are not uncommon, one of the differences on the NSX is that the wheels are forged aluminum, not the more common cast aluminum. As a result, the wheels reduce unsprung weight without giving up anything in strength. Because this is (obviously) a performance car (and a Honda), it has to be rigid and rattle free. After all, this is a car built to be driven in a way that few cars are. So the engineers literally cranked up a Cray supercomputer and began running finite element modeling and stress analysis routines to come up with an all-aluminum chassis for the mid-engine vehicle that, including closure panels (doors, hood, decklid), weighs 210 kg, which is calculated to be 40% less than an equally rigid and safe steel chassis would weigh. In order to assure rigidity, aluminum extrusions are used for the side sills. The removable aluminum top is aluminum. It weighs 8.5 kg. One of the consequences of the aluminum body panels is a step in the painting process that is more common to the aircraft industry than the auto industry: a chromate coating is employed. Of course, one might argue that this vehicle really flies. . . .